Home > Knowledge Center > What Are Permeable Pavers? 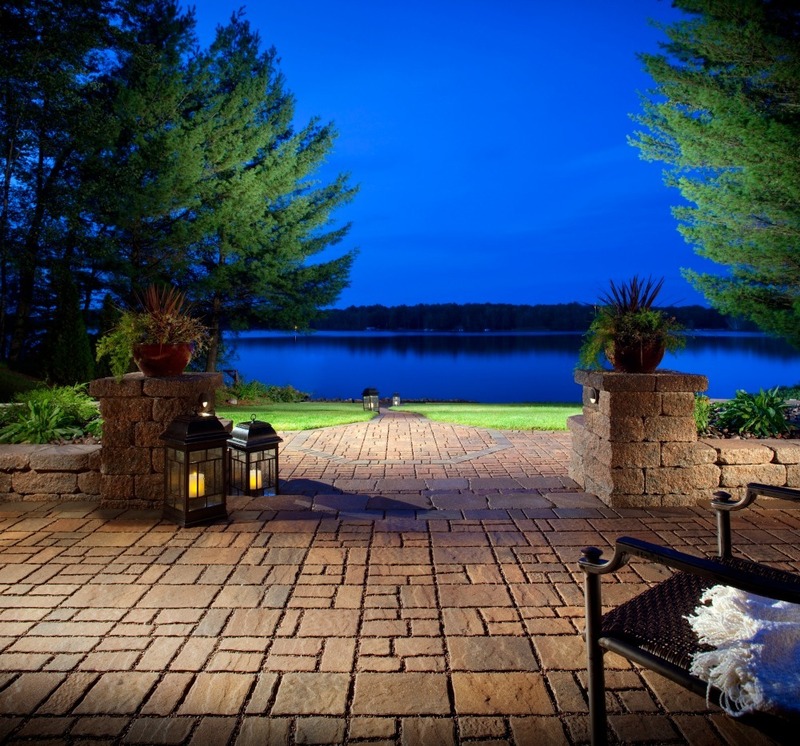 Concrete pavers are appealing options for driveways, walkways and other outdoor living spaces because a variety of color and patterns exist. 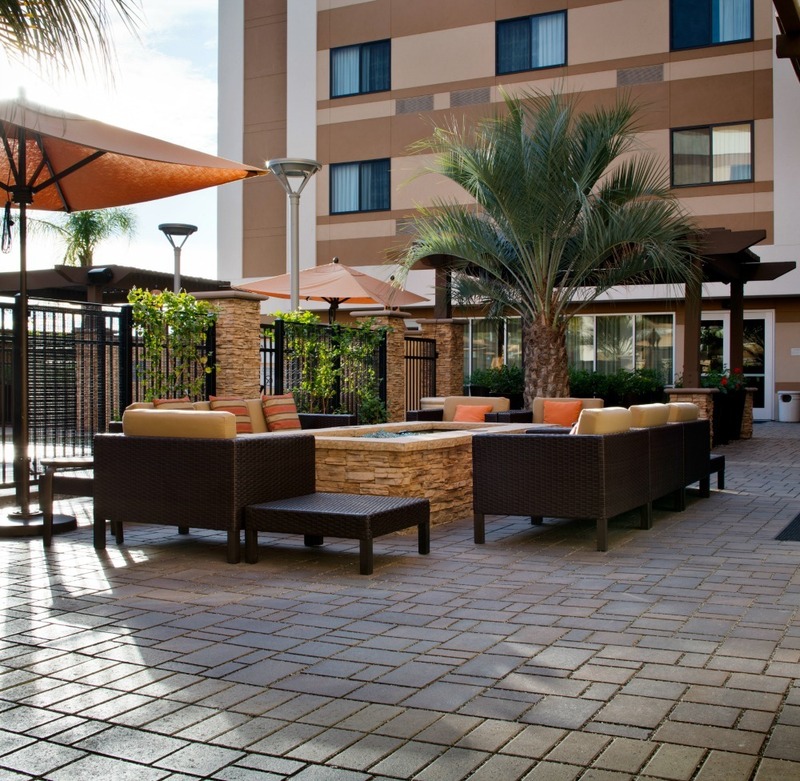 However, permeable pavers have the added benefit of being environmentally-friendly, too. This article will walk you through what permeable pavers are, why you might consider them, and a few design ideas to showcase how amazing your space could look. Permeable pavers are used in both commercial and residential applications as great fits for driveways, walkways, patios and other flat surfaces in need of hardscape. One of the main benefits of permeable pavers is that they allow water to pass between the stones (or through them, in some cases) and back into the ground. This is in lieu of how a concrete slab, for example, directs water to the lowest available point—usually a drain connected to gutters that lead the excess water to the ocean. Basically, permeable paving stones are installed on top of multiple layers of varying sized stone (otherwise known as aggregate) that filter water slowly downward into the soil in a manner that usually won’t oversaturate it and cause run-off. With California in a drought, directing water back into the groundwater and out of the storm drains caters to local environmental sensitivities. Water entering storm drains tends to pick up contaminants along the way to the ocean which is dangerous to sea life and swimmers. 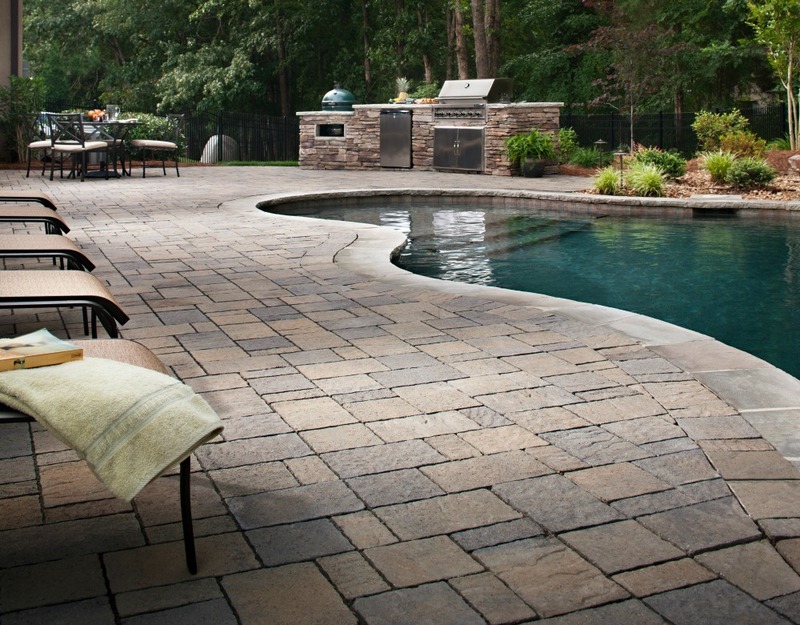 Permeable pavers can be made completely flat to catch water and evenly direct it into the ground. However, it is also possible to direct water elsewhere with a contoured stone reservoir, another strategy that eliminates standing water and unsightly drain grates. Some homeowners take this a step further by creating a system that can actually harvest rainwater for reuse around the yard. Placement of permeable pavers near trees and other landscaping can allow water to permeate effectively to roots. Mosquitos are unable to breed in standing water if it is drained away properly. Permeable pavers are a green alternative to asphalt driveways and pathways which, if dark colored, tend to absorb sunlight and covert it to heat. The end result is that surrounding temperatures are raised, affecting overall living and nearby vegetation. This excess heat in cities and residential areas is called the “heat island effect”. Because there are so many light-colored paver options available opting for permeable pavers in lieu of dark pavements can help eliminate this issue. 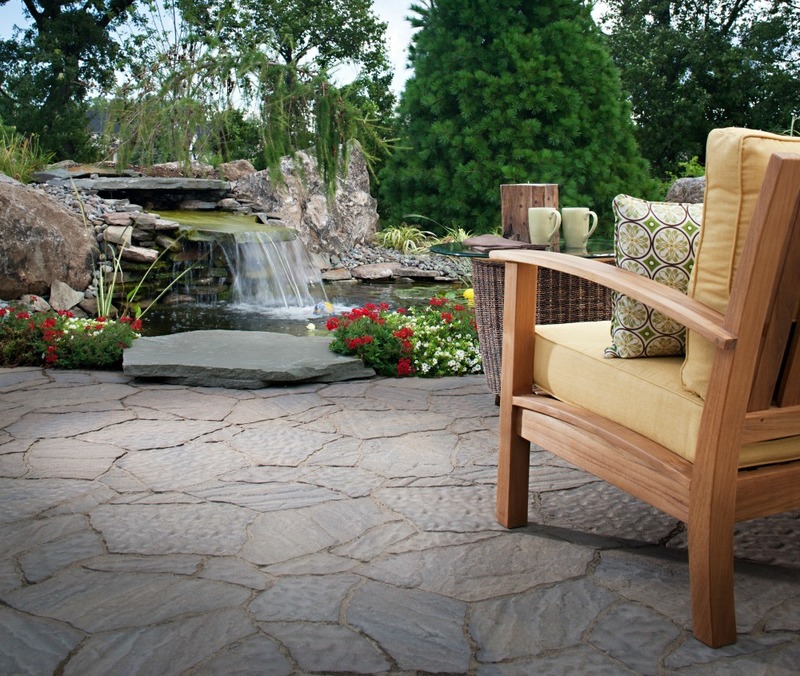 Turfstone is a unique, eco-friendly option that allows grass to grow right through it. We’ve already gone into detail about the benefits of Turfstone so do have a look if you’re considering it. Keep in mind that there are other less expensive grass paver made out of plastic. These grids are also set on top of layers of aggregate but the plastic is nowhere near as strong as Turfstone. Either way, the benefit of these grass pavers is that they allow grass and ground cover to grow in spaces where it wouldn’t normally be possible. Porous concrete pavers and slab are created via a special blend of concrete (usually with little to no sand and pea gravel) that allows water to seep through the surface of the concrete to slowly recharge groundwater supply. It is also called pervious concrete. Interlocking pavers are the most commonly used permeable paver on the market (and include Turfstone). Water seeps through joints between the stones and into the aggregate below. One of the main benefits of interlocking permeable pavers is their strength which is considered far superior to poured concrete. Because they are locked together, weight is distributed throughout the entire surface and they are less susceptible to expansion and contraction due to extreme fluctuations in temperature. Keep in mind that certain individual paving stones that aren’t interlocking can be installed in a manner that makes them permeable. We’ll show you examples below. 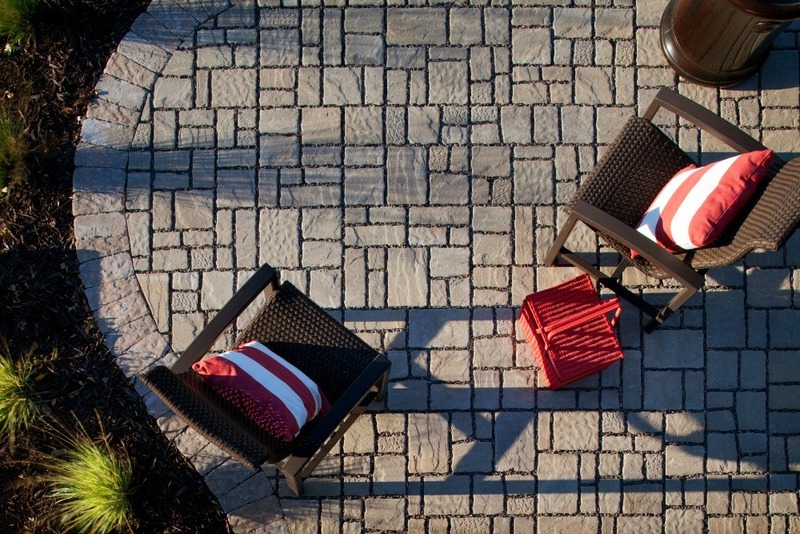 Subterra Stone, pictured above, has the look of chiseled stone and is considered by the manufacturer to be the most natural-looking paver on the market. It is an interlocking permeable paver. Eco Dublin is not an interlocking system but can be installed as a permeable paver. The look is of classic cut stone and it comes in a set of three rectangular pieces of different sizes that can be arranged in a variety of patterns for a more modern look. Those who would like an option that simulates the irregular shape and texture of natural flagstone should consider Mega-Arbel. To replicate the look of the historic cobblestone streets of Europe, opt for Old World Paver, which also happens to offer a wide range of pattern and color potential. It can be installed as a permeable or non-permeable surface. Three-piece Urbana pavers mimic the look of vintage cut stone with chiseled texture and even the option to add in a bigger square for a dramatic look. 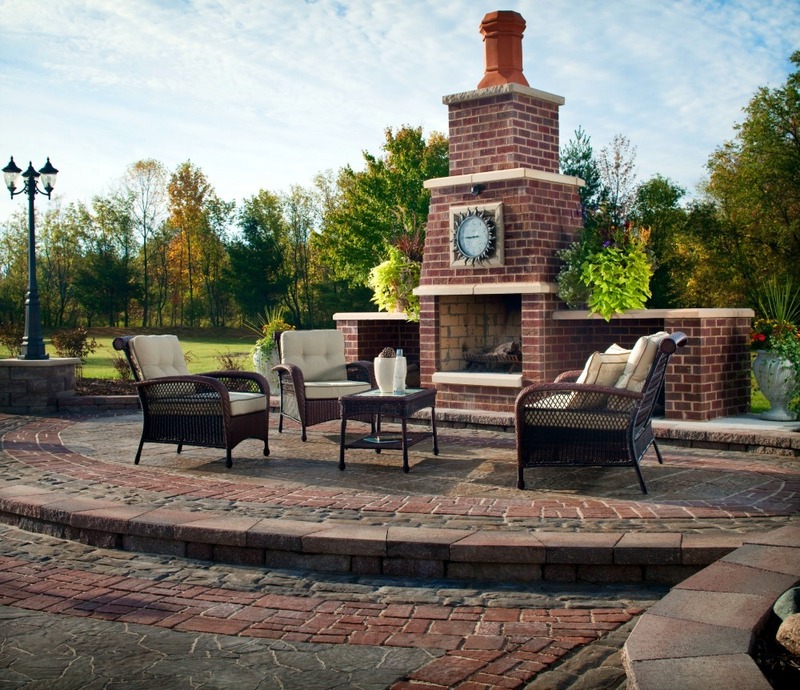 Also, ask your professional installer about combining multiple styles of permeable pavers to create a look you like. Seek professional help when installing permeable pavers because there is quite a bit to take into consideration. Engineering the correct depth of the aggregate subbase needs to take into consideration local rainfall, soil and anticipated traffic conditions to ensure that water is absorbed properly. For instance, in areas with clay soil, the rock will need to be deeper in order to slow the flow of water into the soil. Like any other surface, permeable pavers require a little maintenance. You’ll want to occasionally sweep them to make sure that the cracks between the stones debris free so that water can penetrate through when it rains. Observe them during rain storms to see how well they are draining and make sure to remove any sediment that may build up over time. Pressure washing is not recommended because it risks pushing debris further in to the aggregate instead of removing it. If a paving stone is badly chipped or stained, not to fear. A professional can easily remove and replace it. What is your experience with permeable pavers?